Jaipur, proudly known as the Pink City, the state capital of Rajasthan, is among the most happening cities in India. The place is a fine melting pot of culture, traditions and metro-city lifestyle. The city has forts which are several hundred years old to big shopping malls like World Trade Park. The place is famous for its traditional heritage and modern lifestyle. There are two UNESCO World Heritage Sites, Jantar Mantar and Amer Fort. Though, this was not my first trip to Jaipur. I have been there couple of times but only for some work. 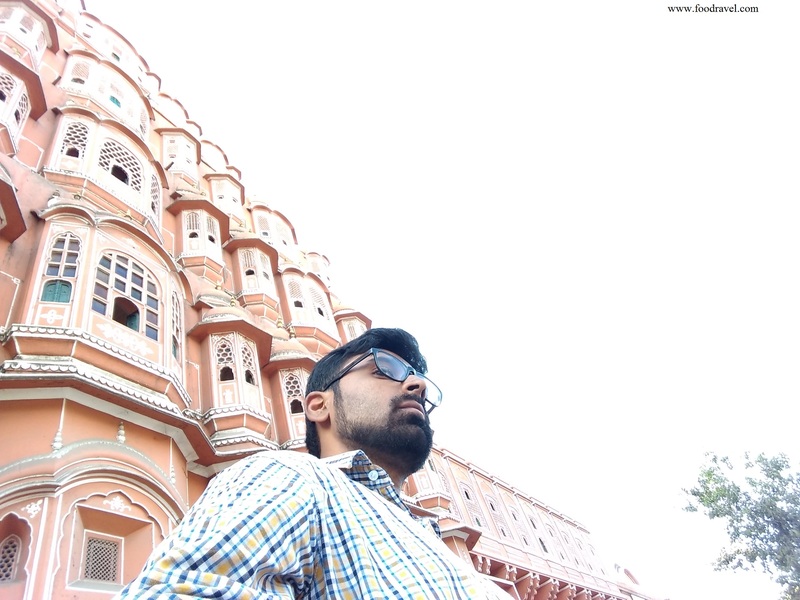 But this time, I decided to visit Jaipur to explore it. The year was ending and I wanted to make a trip so that I could close the chapter of 2017 with happy travelling memories. My Jaipur trip lasted for four days of travelling and one day of rest. 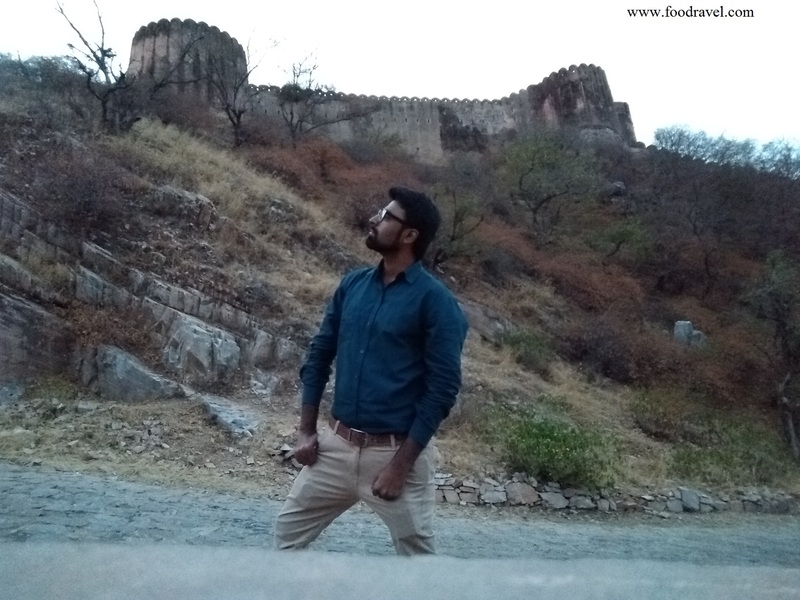 I wanted to make this Jaipur journey a memorable one as the year was ending so, I roamed in the city like a nomad, I visited Jaipur like a roamer. Pink City is really a beautiful place to visit. Jaipur was placed at 7th rank by Conde Nast Traveller Readers Choice Survey in the list of best places to visit in Asia. The city is full of splendid palaces and holds the majestic history of India. Jaipur is truly a magnificent city. I was all set to go Kasol but later I realized that I went there in June. Thus dropped this plan and thought for some other place and nothing could be better than Jaipur. The place is not so far from my hometown and it’s just four or five hour’s journey. The total distance road to road from Mahendergarh to Jaipur is around 200KM only. Finally, I made my mind to go Jaipur. I packed my bags and left. I actually don’t get to travel often. I first went my home, Mahendergarh and from there I started my journey to Jaipur. The bus from Mahendergarh to Jaipur was around 12 in noon I guess. But one can go Narnaul and from can get a bus direct to Jaipur from Narnaul. And I did the same. I first took a bus to Narnaul and from there I got bus to Jaipur. Narnaul is the only place to catch a bus to Jaipur if you don’t get a direct bus from Mahendergarh to Jaipur. And my first trip to Jaipur started from Narnaul at around 11AM. While I was sitting in the bus, I tried to vlog, but it wasn’t a good place at all. Too much noise. Travelling in Haryana roadways buses is really a great experience. Bumpy rides and noise. The road up to Kothputali was all good. But the moment bus left the place, there was no proper road. All dusty and broken path. That’s the sign that we entered in the boundary of Rajasthan. If you are travelling for a long distance, where the journey may consume more than 6 hours, it’s better to book your seat in a comfortable bus. Roadways buses are literally a nightmare if you wanna travel in them for this long duration. But I am used to it. Those bumpy and broken roads may give you neck ache, back ache or headache. So, after long, I got to see hills. The Aravali Range which covers entire Rajasthan and Haryana also. I thought to stay in a hotel but that was only because one of my friends also wanted to join. Unfortunately, he couldn’t. I have my cousins in Jaipur. Thus, my food and accommodation expenses were saved which actually was a big expense. I had a travel bag and I packed my clothes, one t-shirt, three shirts, three trousers, one payjama, one compact camera, one point and shoot camera, a powerbank, that’s all. I have recently bought a new phone Moto G5S+ which has dual 13MP rear camera and 8MP front camera. Thus, I was all equipped to click and shoot. That was the real motive. Camera is a priority if you want to do travel blogging. I reached Jaipur bus stand at around 5 in evening. Jaipur bus stand, all crowded, hustle – bustle. I wanted to vlog but again couldn’t as the noise was too loud there. I realized I should consider buying a lapel mic. The first thing I did after reaching Jaipur was to find a good restaurant as I was feeling hungry. And when you are in Jaipur and you didn’t enjoy the Rajasthani Thali, then you trip remains incomplete my friend. So, there was a big restaurant outside of the bus stand and I ordered the big sized Rajasthani Thali, full of different dishes. It included Dal Bhati Churma, Missi Roti, Gatte ki Sabzi, Ker Sangri, Makke ki Ghat, Bajre ki Ghat and Bajre ki Roti. It also had Halwa and Lassi. And this thali was really irresistible. After finishing, I ordered an Ola to my cousin’s place and reached there. Though it was my first trip to Jaipur, I wanted to visit all the places properly. I was alone. And I always love travelling solo. That’s the best way to travel and explore. In the night I made some draft of the place I should be visiting. There were so many places in mind, I took help of Google and YouTube and prepared a sketch of the main places to visit. However, I didn’t make a proper planning to visit Jaipur as most of the time the planning is all random. My trip to Jaipur started from Albert Hall Museum on December 21st 2017.